I couldnt find alot of info on any port work for the LNF, but since i have my head off, i was thinking about atleast cleaning up the ports. 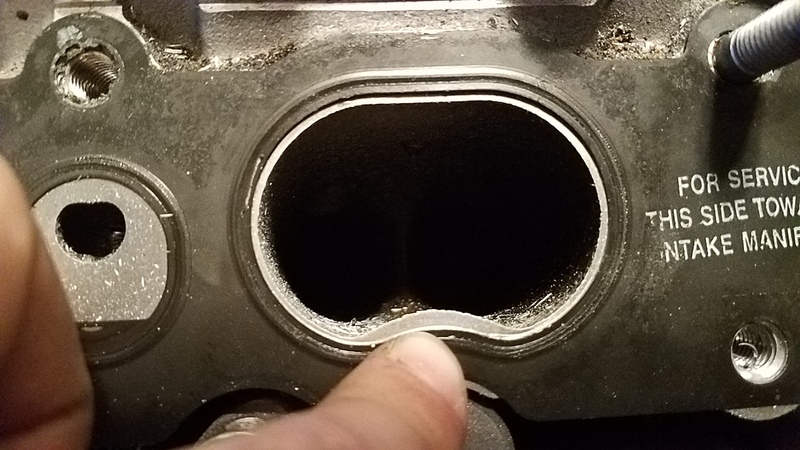 the casting is really rough on both intake and exhaust, and i doubt port matching the head to the manifold will do any harm.. anyone on here every try it themselves? yep. not on the LNF but i've done it on a couple cars. i port matched both sides and just kind of smoothed and softened the tighter curves. did the same to the intake and header. nothing scientific. the last project it was a necessity after buying an ebay knockoff of a "Venom" intake. the intake was beautiful, except that where they welded the runners to the flange was off about 3/16 of an inch. i opened the flange up and the head to match and smoothed all the transitions. don't know if it improved performance at all but it made me feel a hell of a lot better. Last time I did it was an 850cc Mini. We upgraded to dual carbs and bigger exhaust. It can't hurt, but it has greater effect on NA engines where flow is the limiting factor. On a turbo you are probably blowing off pressure at the rpms where porting would make a difference. It is easy to make a mistake - novices almost always grind too much, go too big and end up with reduced flow velocity. They also grind by guess - and on some heads, apparent restrictions are there for a purpose. I'd leave it to the pros. Contact a pro shop that has done this and ask for flow specs on the end result compared to the stock head. My bet is that it will make zero or insignificant difference at the rpm normally used on the street and there is a significant risk of losing power/flow if done incorrectly. Last edited by wspohn; 12-12-2017 at 09:34 AM. I bought ZZP LE5 camshafts black Friday, so with that I am going to clean up the stock head. If I damage a seat, it will force my decision to go with oversized valves which is good for torque but bad for wallet. Look on cobaltss.net there are a few guys that did cams and a ported head. I seem to remember someone showing pictures of the head after porting along with the flow numbers. I think i found said thread, its titled porting tools. Id link it but im not sure thats allowed. Go ahead and put in the link. I don't think it's against any rules here. Here it is, also some v8 porting pics.. the lnf is in the back. after months of procrastination i decided to actually post some info on results. 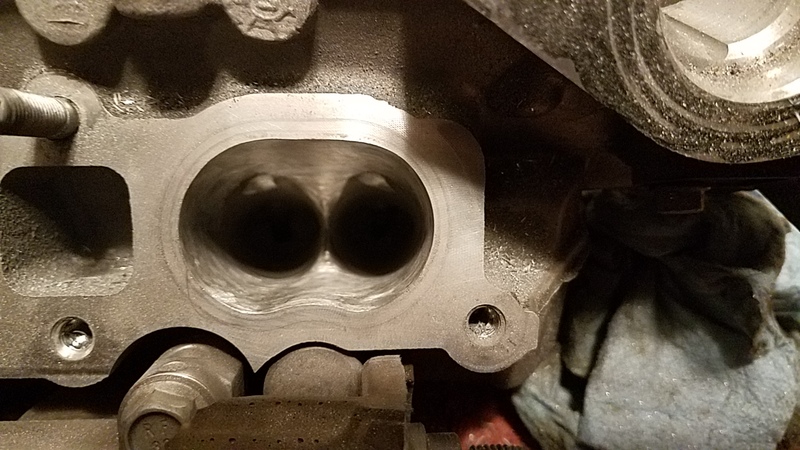 i didnt take many pictures of my handy work, but i got me a die grinder and made the manifolds and head match the gaskets, and polished up what i could. If you look, at ~6725 rpms, is the highest point where the MAP reads 37.0 psi before porting (post port has 82lb spring upgrade, larger fuel lobe, and balance shaft delete) and the loRes boost is 2 psi lower after the porting. soo. maybe helped? 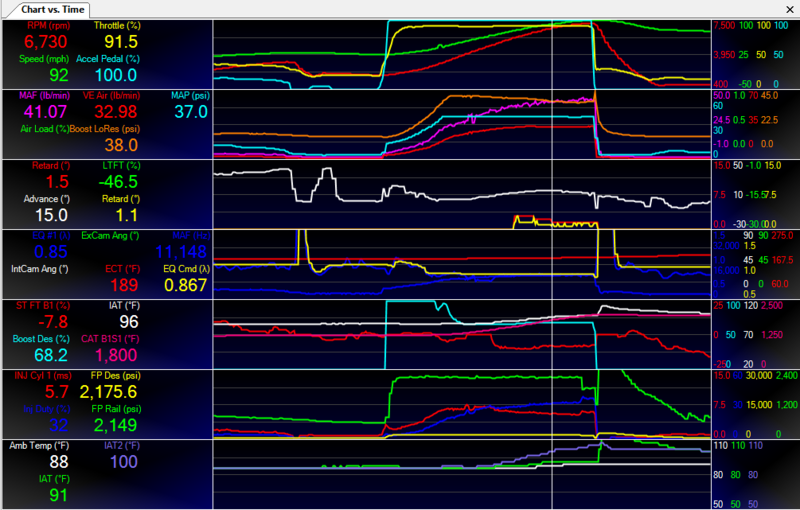 also, there is a 5 psi difference at 2500 rpm, but it also looks the pre porting tune ramps the boost slower. 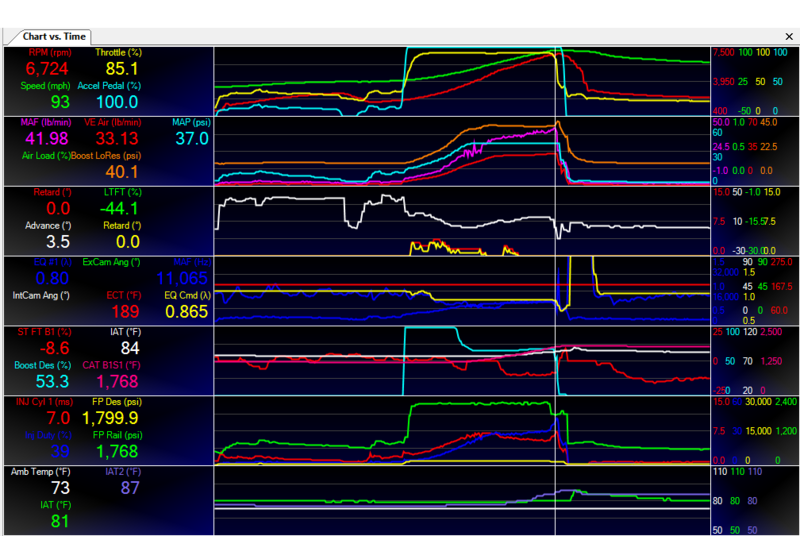 ill get with my tuner and see if thats the tune, or if the exhaust if moving that much quicker.